So far Ryan Van Ess has created 43 blog entries. Fixed customer portal data usage to show correct overage charges. Fixed select dropdown for network site job on mobile view. Fixed old schedule overrides not being cleaned up properly. Fixed adding / updating schedule override logs. Fixed various misc. errors with calendar synchronization. Fixed a fringe case of taxes rounding for half decimals. Fixed Edit Job button color. Fixed order number errors with Track Your Truck. Fixed job notes not saving from customer overview if it is not assigned to a web user. Fixed creation date not being added for inventory items, consumables, and products. Added export buttons to multi day schedule. Added the ability to check in and out of Jobs on Schedule Live View. Added all phone numbers to delinquent customer report. 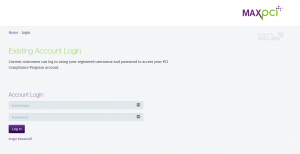 Added welcome activation email for all customers that are activated. Added the ability to chose which displayed statuses and time range customer portal tickets will display. Added confirmation email to customers when submitting payments through the customer portal. Added ability to check if username exists when adding a new customer, and if it does, link to their account. Added ability to rename uploaded files and attachments for Network Sites and Customer Files. Fixes Calendar Sync page not loading. Fixed loading initial tool in tool tab on Equipment Details page. Fixed issue trying to load vehicle tracking even if Track Your Truck was disabled. Fixed dropdowns appearing above contract while viewing Completion Template contracts. Fixed Completion Template contract’s height preventing contract from closing. Fixed customer ticket always being set to urgent from customer overview. Fixed Schedule Live View’s Stand By job order to sort by job creation date. Fixes ticket status not updating when reassigning ticket to yourself. Fixed issue saving job notes while job was in the workbench. Fixed an error when generating invoices. Fixed Custom Customer Alerts replacing title with alert color when submitting invalid inputs. Added more verbose logging into the customer event logs while scheduling jobs. Allowed searching by item attributes for inventory quick assign. Reduced size of ticket relation padding (to increase visibility). Fixed issue where editing equipment would sometimes delete associated equipment. Fixed issue where deleting transactions would sometimes disassociate with the customer. Fixed issue where tech groups could not see full permission group access levels. Fixed issue that would cause inactive web users to show as selectable when assigning current inventory. Fixed issue where calculated payment amounts would show incorrect decimal value. Fixed issue where payment amounts would display a negative value if customer balance was not positive. Fixed issue on Income by Address Range report that would allow the report to run without a selected address range. Fixed unnecessary file being created during inventory stock level checks. Fixed inventory status report to properly show assignee. Fixed overpay popup to display based on amount due instead of balance. Fixed associated link that was hard to read when ticket was active. Fixed archived customers showing up when trying to enter payment for a specific Customer ID. Fixed issue that would limit some equipment from being pushed to Procera. Fixed job notes not formatting line breaks correctly. Fixed an invalid character causing search to throw an error. Added Customer ID to the Income by Address Range report. Added export button to Equipment Logs and Network Site Logs. Added validation when editing an account. 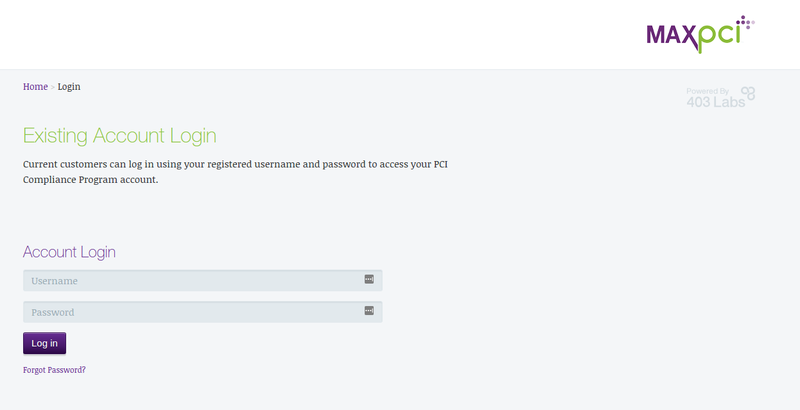 Added new checkbox to remove Customer Portal Access from customers. Added alert message if disk usage is above 80%. Added page size selector to ticket dashboard. Added billing configuration option for overpaying alert. Modified prior 12 month graph labels to better reflect 12 month historical usage. 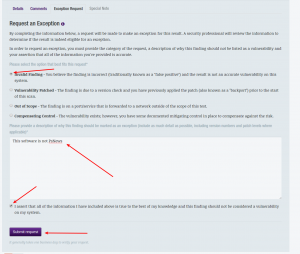 Fixed not being able to remove a guarantor from an account. Fixed ssl protocols to reference correct versions. Fixed validation for adding / editing credit cards. Fixed incorrect error on equipment if status check is none. Fixed additional case where tickets had a [None] associated email. Fixed map not loading when adding customer from Elevation Profile widget. Fixed accounts with no active services from showing an incorrect variable in the notification bar. Fixed a display issue with Custom Customer Alerts that would not show updated alert status when activated. Fixed cases where content in popup box would appear off-screen. It will now scroll dynamically for all content. Fixed not being able to delete contracts. Fixed System Event Logs not saving when deleting contracts. Fixed Allowed Invoice Type preference to be implemented properly on the Add Customer Wizard. Fixed Customer Event Log line breaks being displayed as \n. Moved Tax Zone Required option from Billing Configuration to Add Customer Wizard Configuration. Added Billing Configuration option to disable / enable billing notes (disabled by default). Added View Contract button for mobile. Added close button to first Inventory tour box. 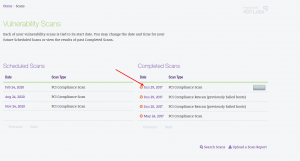 If you’re using IPpay as your payment gateway in Powercode, you will have to request an exclusion for a false positive that has popped up in their scanning engine to pass the PCI scan. We have outlined below how to do this. 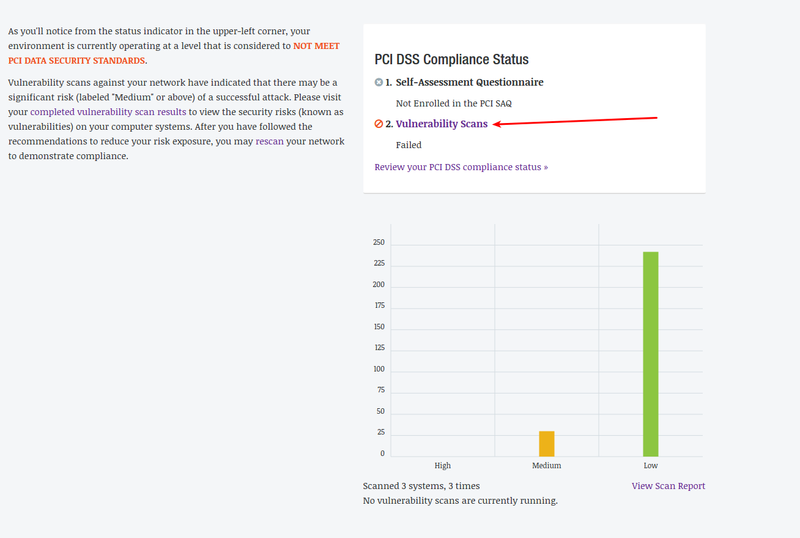 This will take you to your PCI Compliance Dashboard. 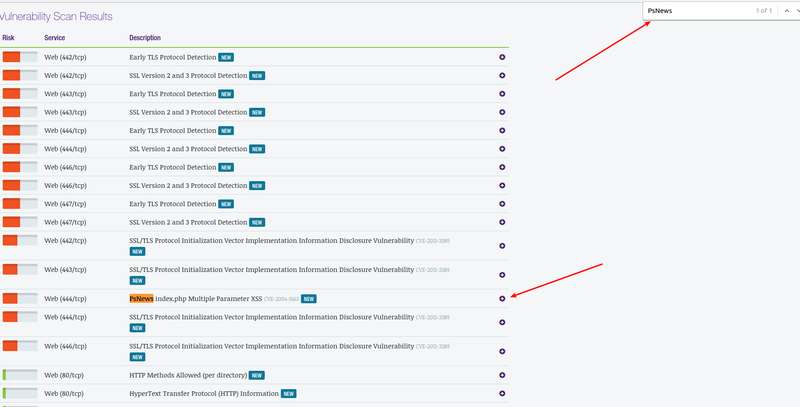 From here, you will click on “Vulnerability Scans”. 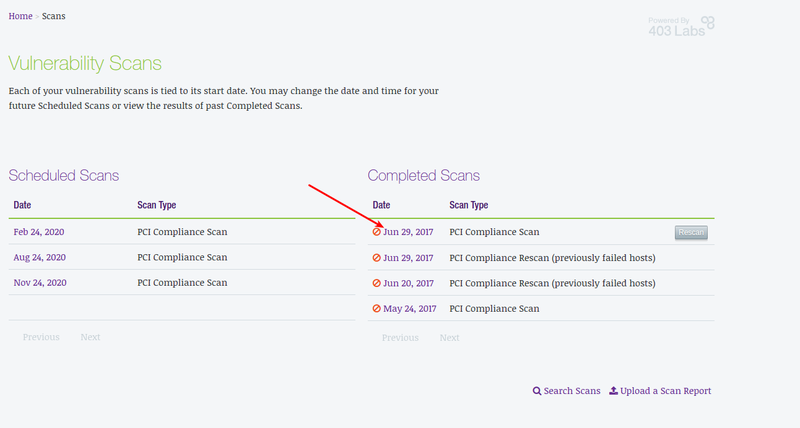 On this page, you will see a list of your Currently Running Scans, Scheduled Scans, and Completed Scans. 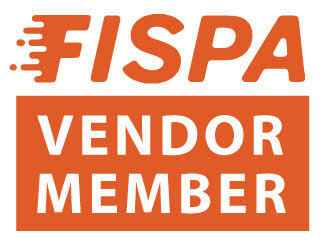 Click on your most recent completed PCI Compliance Scan. This will lead you to information of the completed PCI Scan. Then, click on your domain/IP address your Powercode instance is. 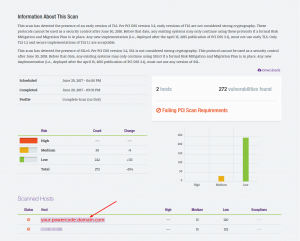 You’ll be brought to a detailed list of all services tested against your Powercode instance. From here, you should search for “PsNews” on the page. Once you find it, click the plus icon to the right. More details will expand below. 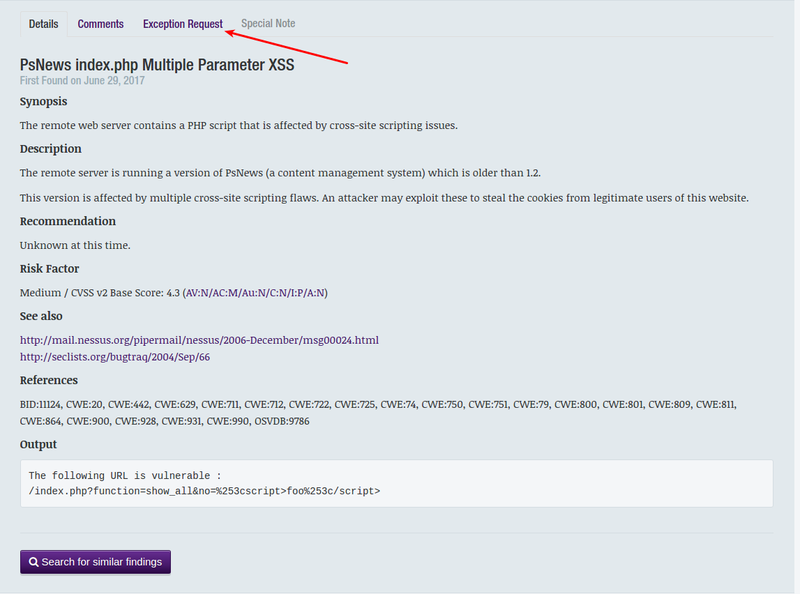 Go over to the “Exception Request” tab; here is where you will contest the “PsNews index.php Multiple Parameter XSS” issue. 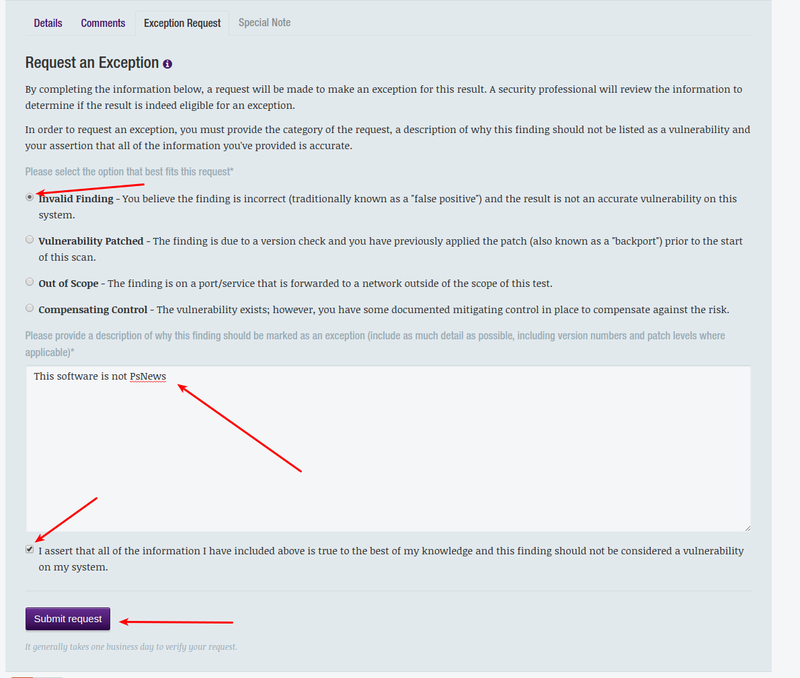 Here you will select “Invalid Finding” (also known as a “false positive”). The message should be along the lines of “This software is not PsNews”. Check the agreement and compliance checkbox and submit. Once submitted, you’ll see an “Invalid Finding Pending” message. If the PsNews issue was the only failing issue, they will update it in that same scan so you will not have to do another rescan. 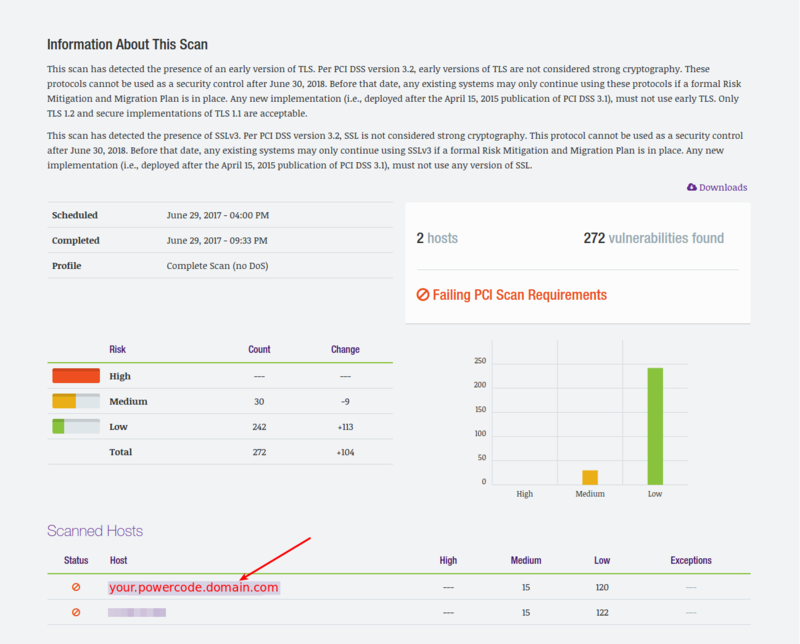 If there are other issues, make sure you are on the latest version of Powercode, then do another rescan. Fixed multiple event logs being created for one-time charges. Fixed workbench jobs creating empty event logs. Fixed no monthly active service alert to properly trigger. Fixed issue where associated email wouldn’t load for updated contacts. Added custom fields to the customer overview tab. Added urgency box to the create ticket form on the Customer Overview. Changed SSL Ciphers and Protocols for PCI Scans. Transfer a customer balance to a guarantor. You can now transfer a customer’s balance to the guarantor account you are assigning them to. Fixed validation to display on KML Export Page. Fixed html entities being saved for Network Sites in KML export. Fixed description on services tooltip. Fixed case where custom reports would overwrite each other. Fixed ability to remotely send backups to Dropbox. Fixed error when trying to recreate equipment. Fixed device type protocol not properly loading for network links. Added export “All” to customer statuses in KML export. Added a select all checkbox to select all tickets on the ticketing page. Added the ability to set From Address and From Name on backups. Added option to allow / disallow customers from editing their payment information through the customer portal. Added option to customer portal to prevent customers from deleting their last payment method. Added option to use individual address pieces in email variables. Added option to show customer’s phone number on invoices. Added billing notes to the customer overview page. 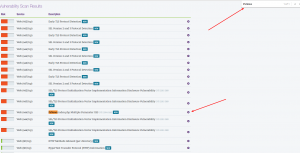 Device Provisioning – Enables automatic device provisioning using DHCP Option 66. Fixed issue with maps trying to generate before being loaded. Fixed track your truck icon in Schedule Live View. Fixed zoom and navigation on complete maps. Fixed customer house showing on Complete Map and Elevation Profile Widget. Fixed Elevation Profile line position marker. Fixed various maps’ navigation overlay issues. Fixed case where addresses would sometimes not geocode and throw an error in Schedule Live View. Adds auto-formatting of MAC address on the equipment edit page. Updates Scheduled Events trigger time to be more accurate.